In Oregon, section 811.705 of the state code indicates that drivers who are convicted of “failure to perform the duties of a driver to injured persons” are subject to a one year suspension of their drivers’ license. In simple terms, this means that drivers who hit-and-run or who don’t stop after an auto accident can have their license suspended. Our Portland, OR accident attorneys also know that some drivers who hit-and-run can face criminal penalties and jail time if accident victims they left at the scene are seriously hurt or killed. Further, drivers who hit-and-run in an accident that causes death can face a five-year suspension. While the penalties that are in place aim to deter drivers from fleeing an accident scene, they are not serious enough to be a sufficient consequence given the serious harm that can be done by a hit-and-run driver. As such, lawmakers are considering a new Oregon hit-and-run bill which unanimously passed the house with a vote of 57-0. According to Oregon Live, the new hit and run bill, House Bill 2542, should help to discourage drivers from leaving an accident scene, making everyone on the roads safer. The new Oregon hit-and-run bill aims to impose a three year license suspension on drivers who leave the scene of a crash, up from the current one-year license suspension. The bill was prompted by a lawmaker who read an article by an attorney lamenting the fact that the penalty wasn’t harsh enough for hit-and-run drivers. The new changes to the hit-and-run law are also necessary because currently drunk drivers are rewarded for leaving the scene of the accident and later turning themselves in after there is no longer evidence they were drunk. This is because the intoxicated drivers face lesser penalties for a hit-and-run than for a drunk driving offense. If the new hit-and-run bill is signed into law, it could be a big help to accident victims. First, as experts testified in support of the bill, every second counts after a crash. If the driver who hits your car flees the scene, it is possible that no one will call for help right away. In fact, if you are in a remote area and no one witnessed the crash, it could be a very long time before anyone seeks aid for you. If you cannot use your cell phone because the accident has incapacitated you, then you’d be left alone with injuries potentially getting worse. If the driver sticks around, on the other hand, then he can call 911 and get you help. The hope, of course, is that the tougher penalties for hit-and-run will prompt the driver to stick around. When the driver who caused the crash remains at the scene, this also makes it possible to get his or her contact information. You’ll need these details if you wish to file a claim for damages to obtain compensation from the driver who caused the crash. When a hit-and-run happens, it is not possible for you to take legal action to recover monetary damages unless the other driver is found, which could mean you’re left without recourse or forced to turn to your own insurer. Hopefully, with tougher hit-and-run penalties, fewer drivers will flee and you’ll be better able to enforce your rights to car accident compensation under Oregon law. Every year in the United States, 130,000 children under the age of 13 visit a hospital emergency room after a car accident. Many of these children are very young. In fact, our Portland, OR accident attorneys know that car accidents are the number one cause of death for kids under age four. Unfortunately, as kids get treatment for car accidents in hospitals throughout Oregon and throughout the U.S., the hospitals are missing out on an important opportunity to help keep these kids safe in the event that they are ever in a future crash. When kids go to a hospital after a car crash, the occasion presents the perfect time to educate parents on the proper use of child restraint devices, including car seats. This education is sorely needed and could help save the lives of children in the future in case they are ever involved in another accident. Unfortunately, as a recent study published in Pediatric Emergency Care indicated, around 20 percent of kids between the ages of one and three years old are not secured properly in the recommended passenger restraint device. For kids ages four to seven, the number of kids not properly restrained jumps up to almost half. Finally, even though parents do use car seats for young infants under age one, many do not use the car seats correctly. With so many children not properly secured, hospitals should provide parents who bring their kids in after a crash with information that can help them to do better on child safety issues in the car. For example, hospitals could provide information about community resources where parents can go to get help using their car seat safely. Unfortunately, very few hospitals are offering information or guidance. As reported by Healthy Women, the Pediatric Emergency Care Survey revealed that more than 1/3 of doctors weren’t sure if their emergency departments even had any type of information available about proper car seat or child restraint use. The lead author of the study, a clinical lecturer at a hospital affiliated with the University of Michigan, expressed concern that emergency room physicians were not even aware of resources that could potentially help parents to protect their kids if a crash ever occurred again. Parents of kids visiting pediatric care centers were more likely to get the information they need on safe restraint use, but kids were more likely to go to general emergency rooms after car accidents than to go to specialized pediatric treatment centers. This means that very few parents are getting necessary information about car seat use or safety restraint use, even when they have already had to bring their child to the hospital because of a crash. The authors of the study believe that their findings should prompt a change in policy in emergency rooms so parents who come to the hospital after an accident get the details they need to keep their kids safe. Parents should also be informed about NHTSA guidelines on when to replace a car seat after a crash. If the air bags deployed, if the car couldn’t drive away from the crash, if anyone was injured or if there was intrusion into the car, then the baby seat should be replaced. The National Highway Traffic Safety Association announced recently that nearly 18 million vehicle products were recalled throughout 2012, including child safety seats, tires, air bags and the vehicles themselves. 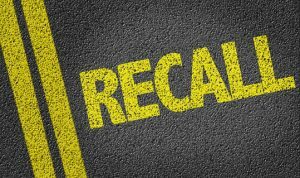 In many cases, our Portland car accident lawyers know that some of the top vehicle manufacturers issued recall after recall after recall. These are companies that we trust to get it right the first time. Too often, that is not happening, and there are situations in which that lack of oversight has led to serious injury and even death. The roads are dangerous enough as it is without having to worry that some defect in our vehicle or our child’s safety seat is exacerbating the problem. And yet, the recalls are continuing so far for 2013. In March alone, Honda, Ford and Toyota all issued major recalls. First, there was Honda. The Japanese car maker is recalling some 250,000 Honda and Acura vehicles across the globe due to problems with inadvertent braking – a problem some car experts are predicting will be an ongoing issue, with years to come as more and more vehicles are powered by complex electronic systems. Similar problems were noted back 2000-2001 models of Mercedes-Benz M-Class sport utility vehicles, which received some 500 complaints regarding the electronic braking systems. The most recent Honda recall involves some 185,000 vehicles in the U.S., including more than 100,000 Pilot sport utility vehicles, more than 60,000 Acura MDX sport utility vehicles and more than 20,000 Acura RL sedans. All of those recalled were made in 2005, save for about 800 of the Acura MDX models. As with so many recalls handed down by the NHTSA, this one started by a consumer complaint. The driver said she was driving her 2005 Honda Pilot at around 45 miles per hour when the vehicle started braking, causing her to lose control of the vehicle and veer of the road. Escaping the situation safely, she assumed it was a fluke. But then it happened again. Honda has investigated the problem and has indicated the defect is in the vehicle’s stability control system, which helps the driver to maintain control by, at times, selectively applying the brakes. Loose bolts and oxidation of wiring are causing the problems. Just a few days after that recall, Ford issued its own recall, this one of nearly 200,000 2004 through 2007 models of Freestar and Mercury Monterey vehicles. Apparently, these vehicles have a defective third row stowable seat latch. The problem is reportedly caused by structural weakening and corrosion of the seat anchoring mechanism in the third row. This might not seem like a huge problem, but it could result in serious injury to back seat passengers in the event of a crash from the rear. And then the most recent recall was issued by Toyota, which has recalled nearly 210,000 FJ Cruiser vehicles amid concerns that seat belts may suffer integrity issues, as they are affixed to the rear doors, which could suffer cracks if closed repeatedly with strong force. If you or a loved one has been injured in a Portland car accident, contact Zbinden & Curtis. Call (503) 287-5000.